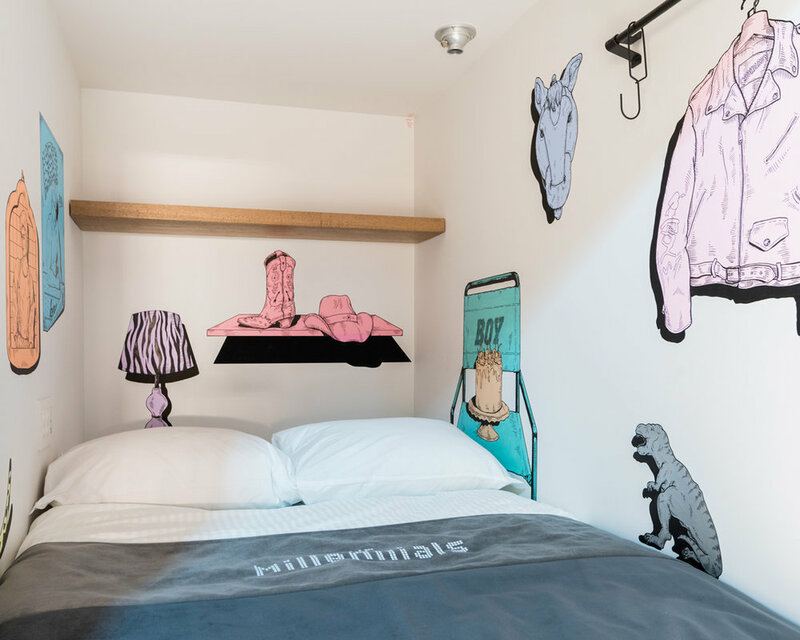 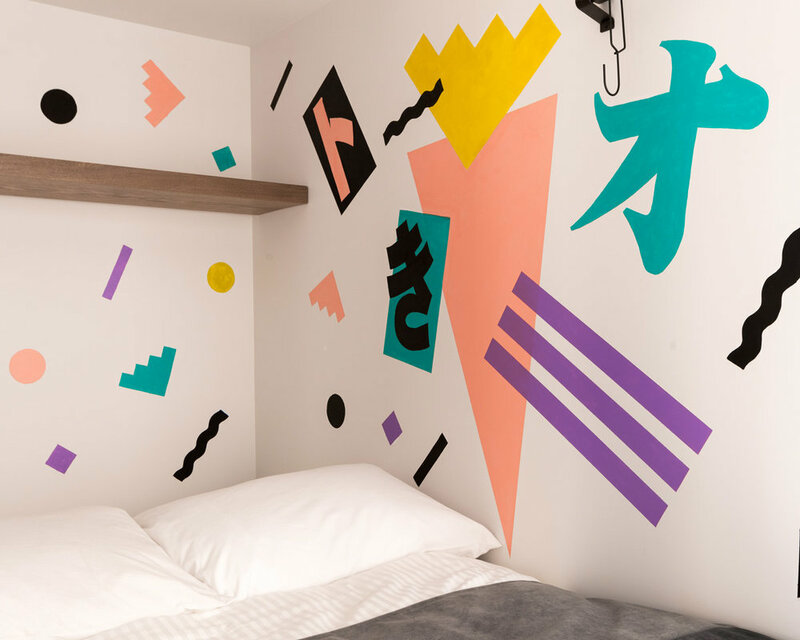 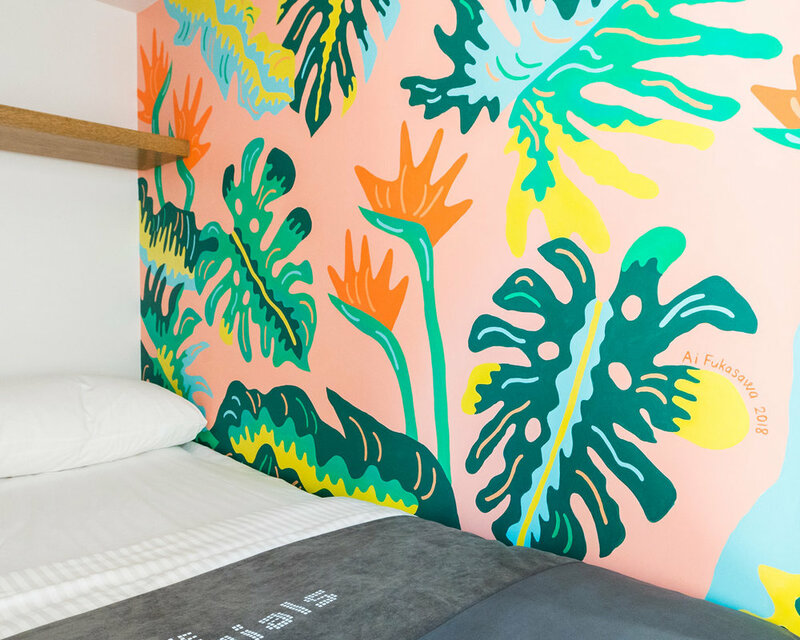 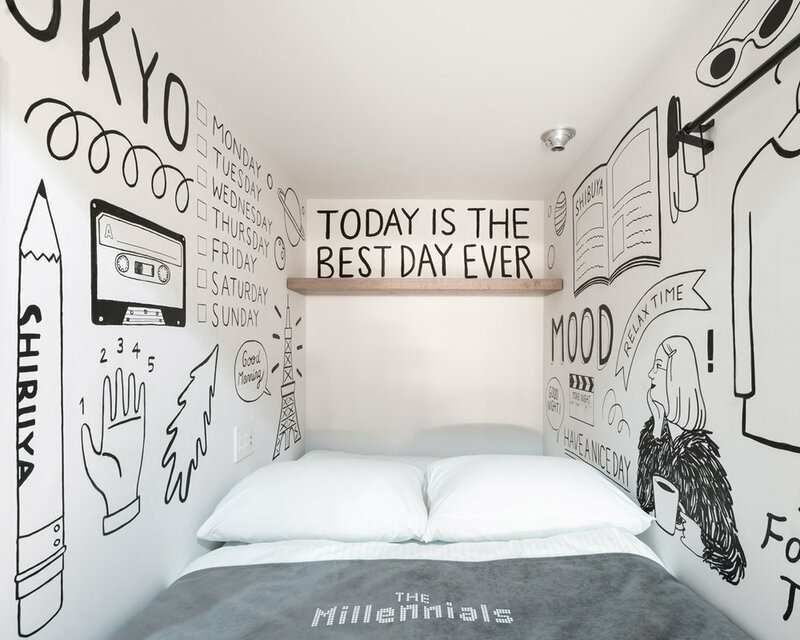 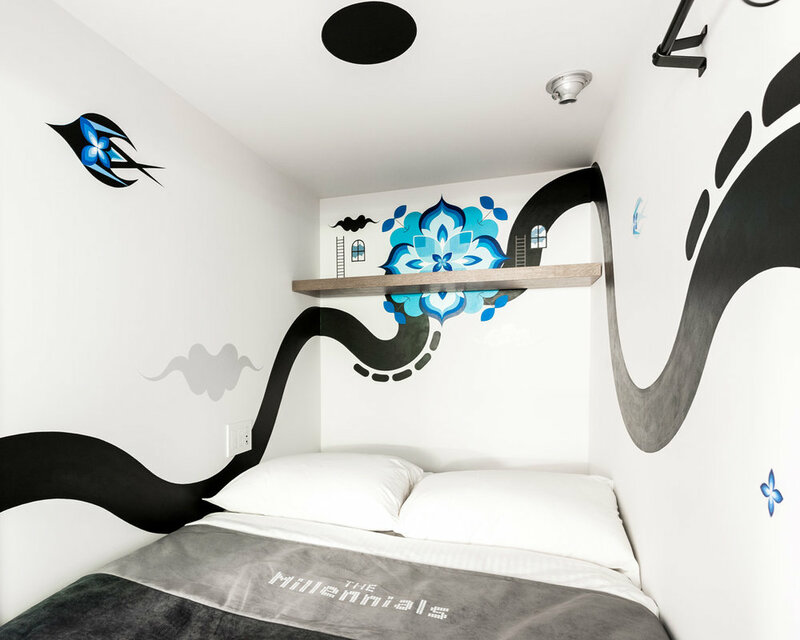 We were asked to coordinate 20 artists for the brand new hotel called The Millennials. 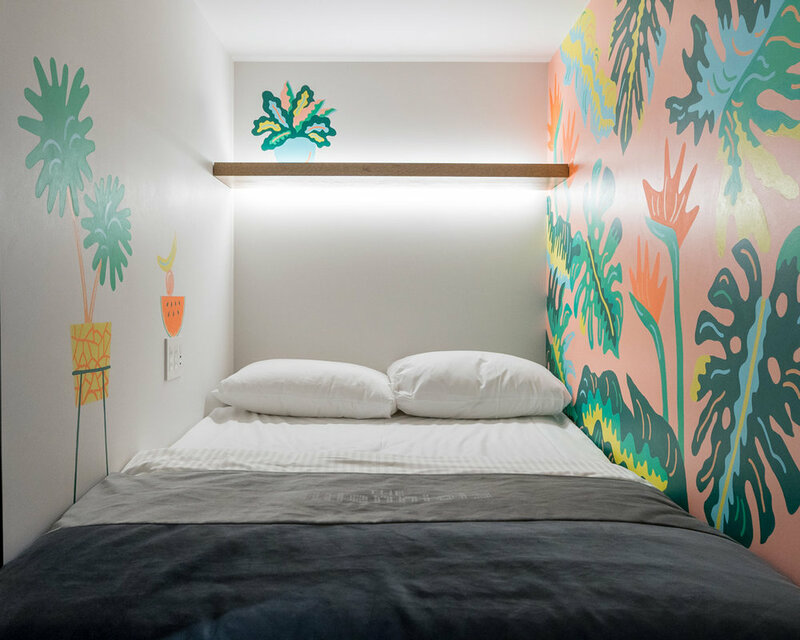 Each artists had a complete creative freedom to express their creativity in to the “POD“ which is made in the size between capsule and the room. 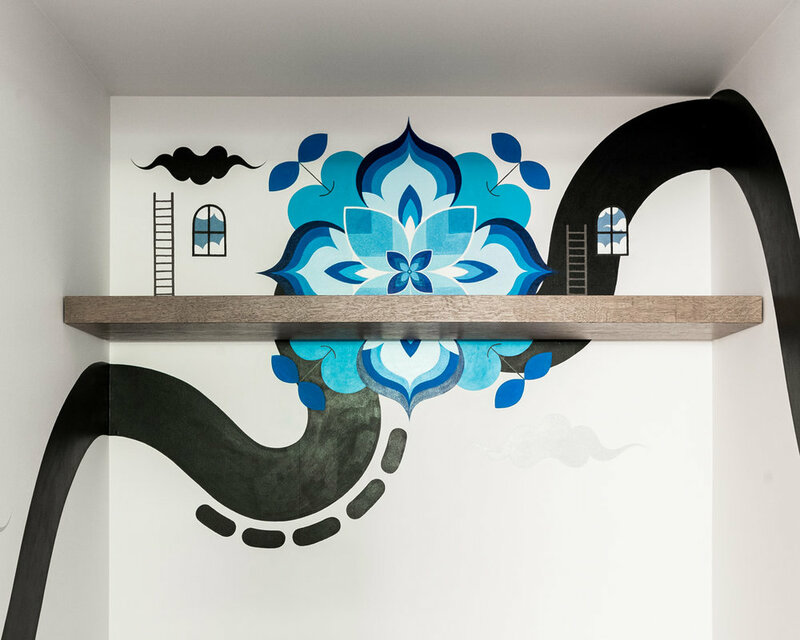 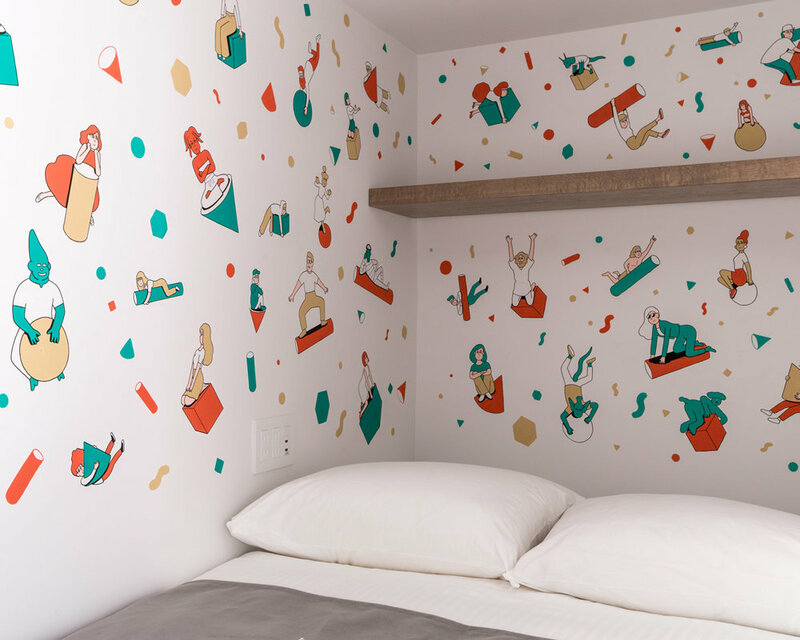 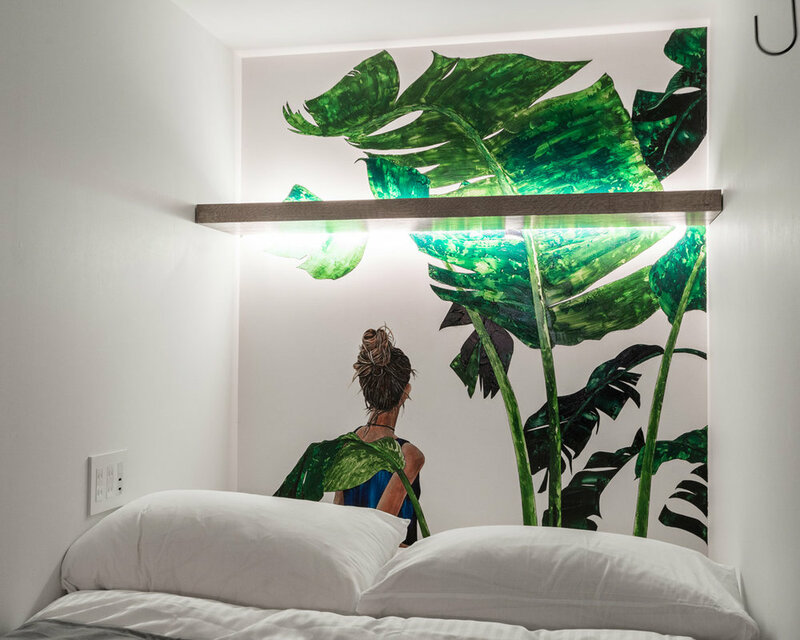 The unique concept of this hotel allows you to enjoy your stay inside the art work. 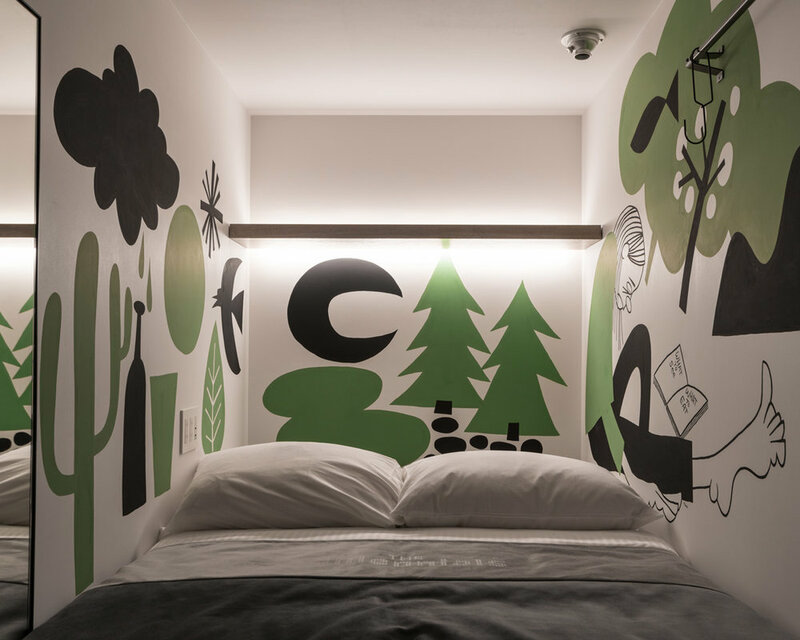 The hotel is situated in the heart of Shibuya where many young people are enjoying their moment.